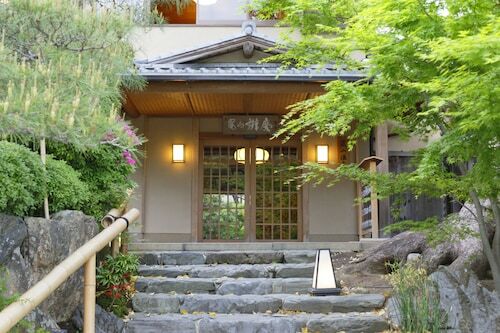 Located in Arashiyama, this ryokan is 0.1 mi (0.1 km) from Arashiyama Onsen and 2.2 mi (3.6 km) from Kyoto Studio Park. Togetsukyo Bridge and Tenryuji Temple are also within 10 minutes. Kyoto Arashiyama Station is only a 4-minute walk and Kyoto Randen-saga Station is 10 minutes. 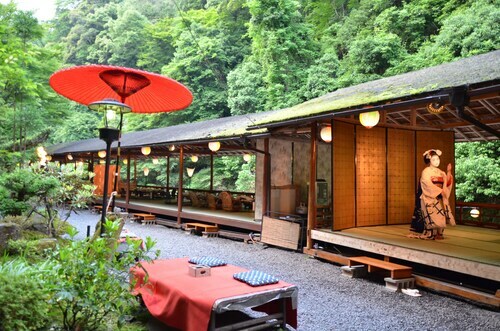 Located in Arashiyama, this ryokan is 0.6 mi (0.9 km) from Kyoto Arashiyama Orgel Museum and 2.1 mi (3.4 km) from Kyoto Studio Park. Arashiyama Onsen and Bamboo Forest Street are also within 1 mi (2 km). Kyoto Torokko Saga Station is 11 minutes by foot and Kyoto Saga-Arashiyama Station is 11 minutes. 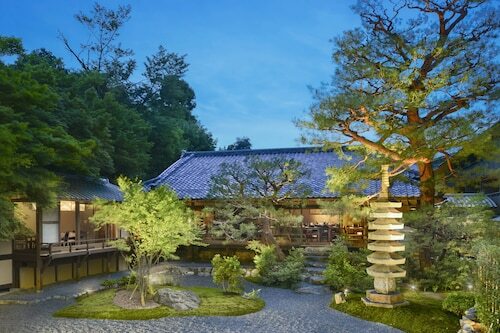 Situated in Kyoto, this ryokan is within 6 mi (10 km) of Ninnaji Temple, Kyoto Studio Park, and Kinkaku-ji. 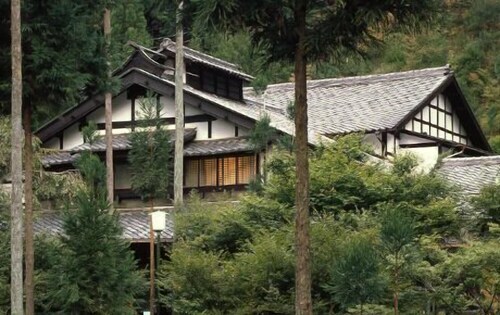 Shunkoin Temple and Myoshinji Temple are also within 6 mi (10 km). 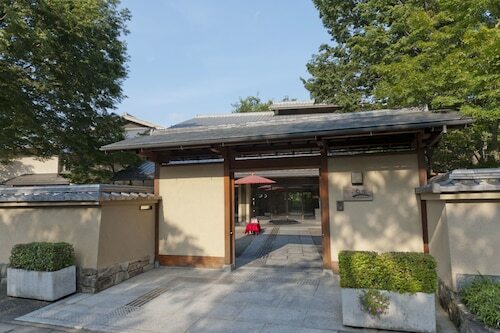 Located in Arashiyama, this luxury hotel is 0.1 mi (0.1 km) from Arashiyama Onsen and 2.2 mi (3.6 km) from Kyoto Studio Park. Tenryuji Temple and Togetsukyo Bridge are also within 10 minutes. Kyoto Arashiyama Station is 7 minutes by foot and Kyoto Torokko Arashiyama Station is 10 minutes. 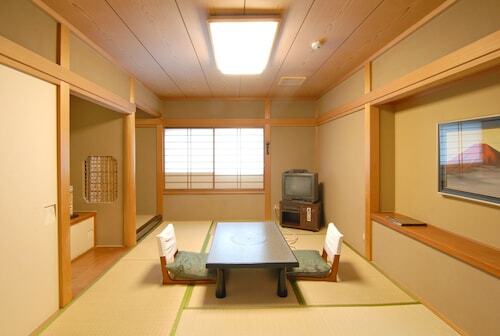 Located in Arashiyama, this ryokan is 0.1 mi (0.1 km) from Arashiyama Onsen and 2.3 mi (3.7 km) from Kyoto Studio Park. Tenryuji Temple and Togetsukyo Bridge are also within 10 minutes. 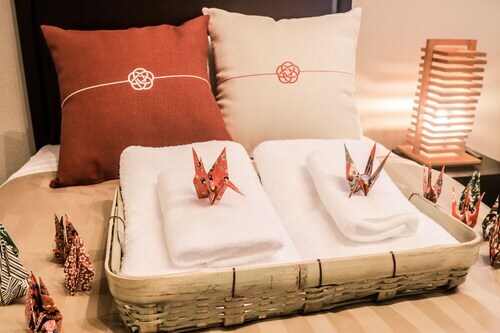 Kyoto Arashiyama Station is 6 minutes by foot and Kyoto Randen-saga Station is 10 minutes. Located in Arashiyama, this apartment building is 0.3 mi (0.5 km) from Kyoto Arashiyama Orgel Museum and 2 mi (3.1 km) from Kyoto Studio Park. Arashiyama Onsen and Bamboo Forest Street are also within 15 minutes. Kyoto Torokko Saga Station is only a 5-minute walk and Kyoto Saga-Arashiyama Station is 5 minutes. 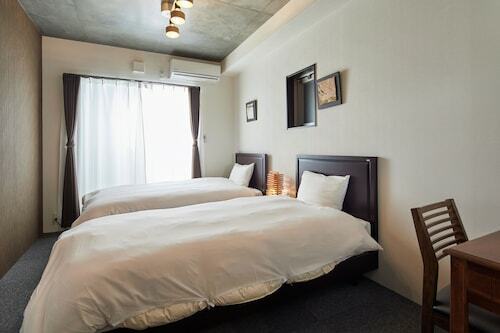 This guesthouse is located in Kyoto (Arashiyama), close to Kyoto Arashiyama Orgel Museum, Kyoto Studio Park, and Bamboo Forest Street. Also nearby are Tenryuji Temple and Togetsukyo Bridge.